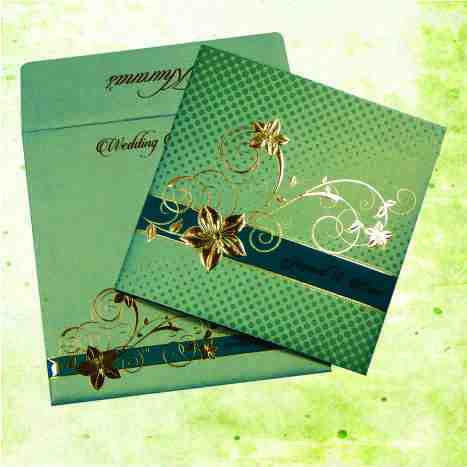 MAIN CARD : Blue Color 250 gsm Shimmery Finish Paper With Raised Gold Color Printing. These wedding cards are perfect! We absolutely love them! You can feel the quality of the cards and they are very well built. Rahul was very helpful in assisting us when it came to customization! Thanks once again!